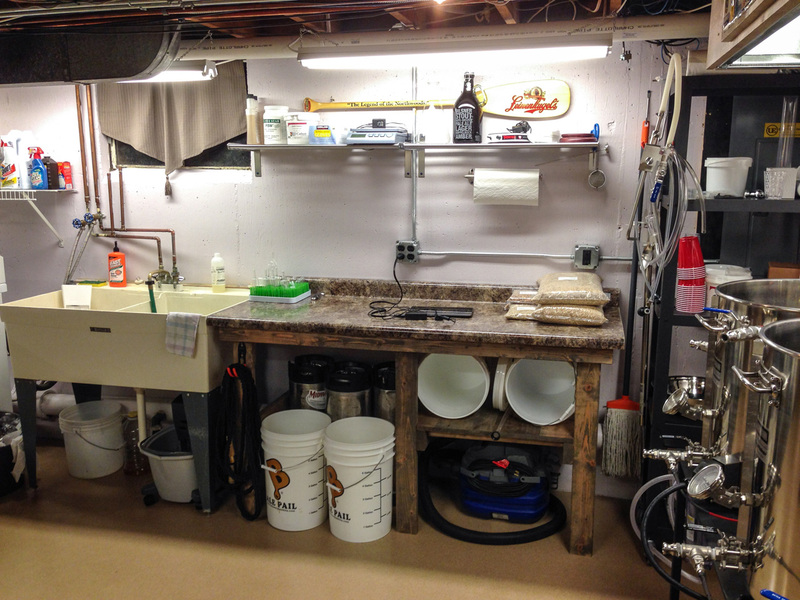 I received pictures of a customer's basement brewery from a customer recently along with a testimonial, and he asked that I share them on our site. 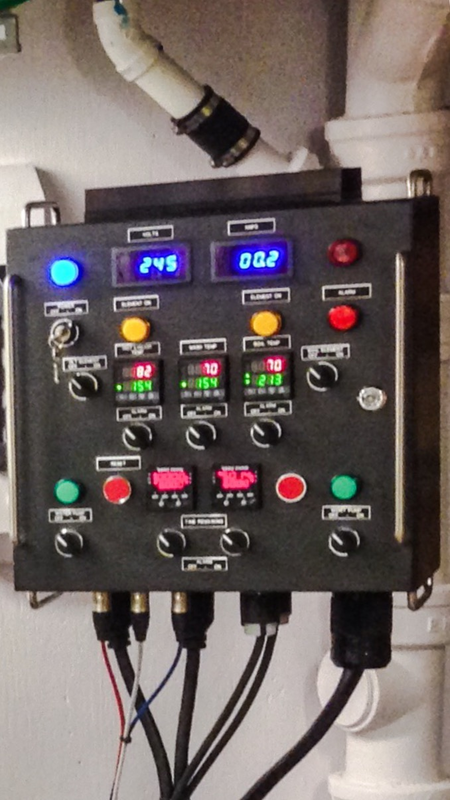 They purchased a 50A Control Panel Kit for back to back batches and modified it to suite their needs. I can't tell you how happy I am that I found your site a two years ago. Up until then I was dead set on a gas fired system until I found The Electric Brewery. You saved me so much time and energy. 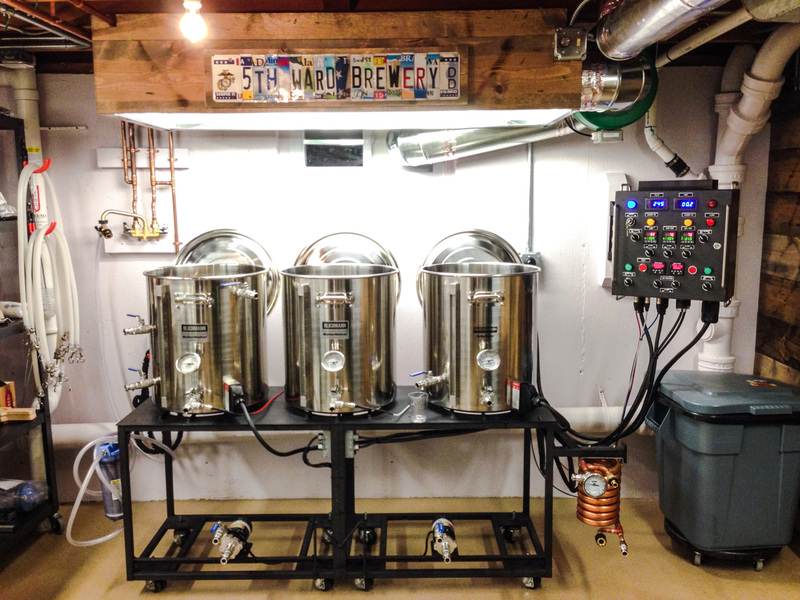 After two years of planning and building I brewed my first batch today and I couldn't be more pleased with the result and your system. 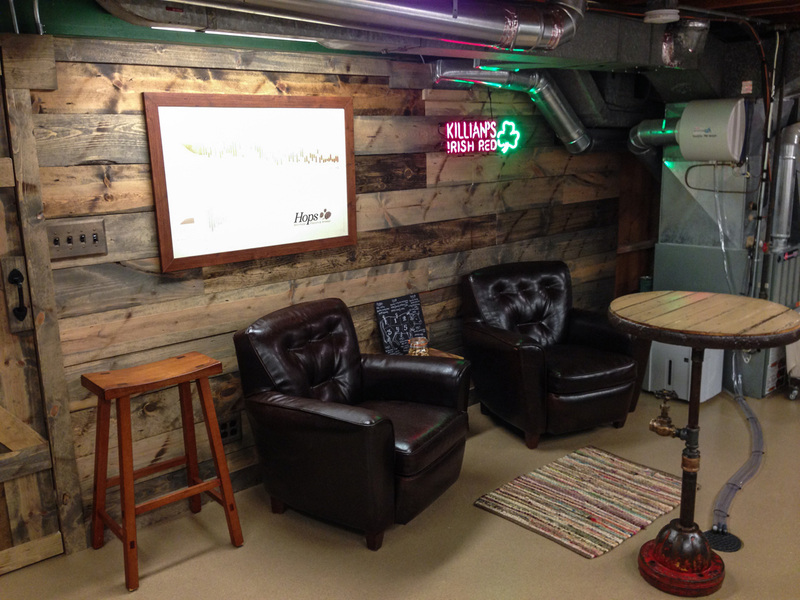 People are amazed every time they walk in to my basement unity room and find this awesome brew panel lit up on the wall. I can't thank you and Mike at Spike Innovations enough. You guys are truly the best. Stop by once they're open and show your support if you're in the neighbourhood. The valve is just for looks, it's a steampunk style table. Where about is the brewery going to be located?? You can likely contact them through the website if you'd like more specifics (edit: or Chuck can confirm here). Yeah I saw that on the website and when I tried to enter my email, I dont receive confirmation or anything. I tried a couple of different browsers as well... Could be a firewall issue though too. It could be, I just registered with my second email account through AOL with no issues. Hope to see you at the brewery sometime next year! 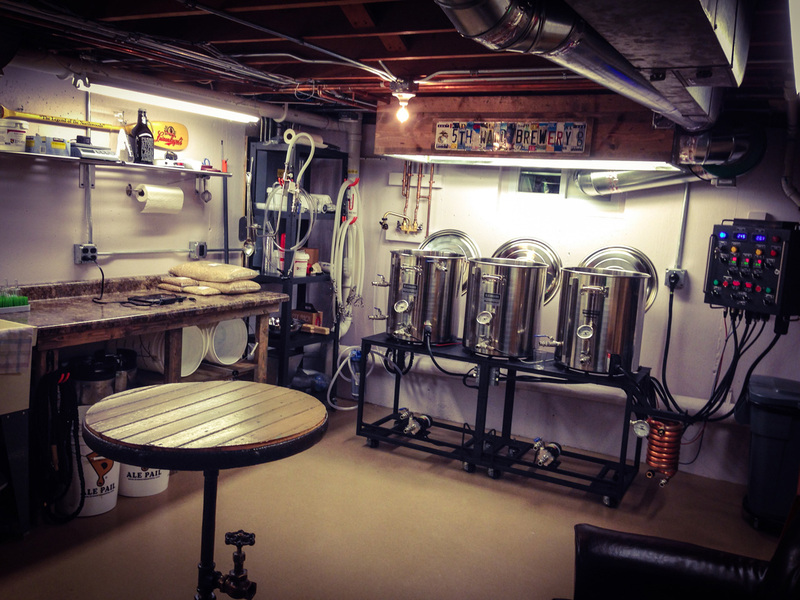 On Tour Brewing will be opening May 2016. We have our location (1725 W. Hubbard St., Chicago, IL 60622), follow the website and Facebook for the latest updates. Congrats Chuck! I'll have to stop by for a pint in a few months then! Awesome news. 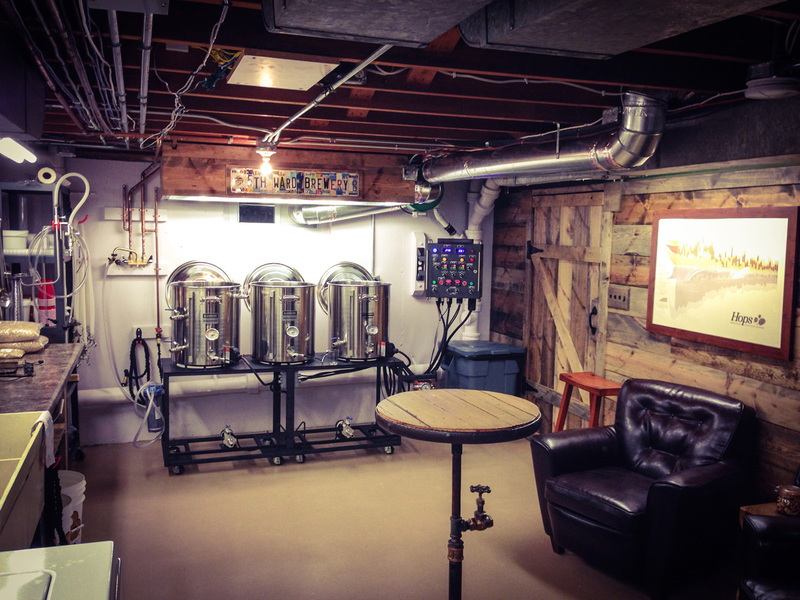 Link Posted: Thu Feb 09, 2017 4:53 am Post subject: Brewery is OPEN!!!! https://ontourbrewing.com/ Is now open, we have an extensive tap list, come by and see us for a pint or a crowler!!! Do you have a close up photo of your basement control panel? I'm interested in your layout. Here you go, I bought the DIY 50amp kit from Kal and added a timer and reset button, everything else is the same other than layout. One timer is set at 60min for mash and one 90 min for boil. Just have to hit the resets. Nice. Was wondering how you found the sparge arm vs. recirculation after a couple years. Also like the anti-hammer standoffs on the water supply. Haven't seen this setup before today; really well done, especially your sign.